The best organizations lay claim to a culture where people demonstrate high levels of ownership to think and act in the manner necessary to achieve their Key Results. Discover how Brinker International turned their culture around to be best-in-industry in both guest and team member satisfaction, among several other categories. 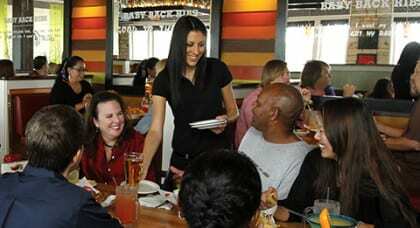 Brinker International, parent company of Chili's Restaurants, creates market-leading culture and industry-leading engagement through change management. 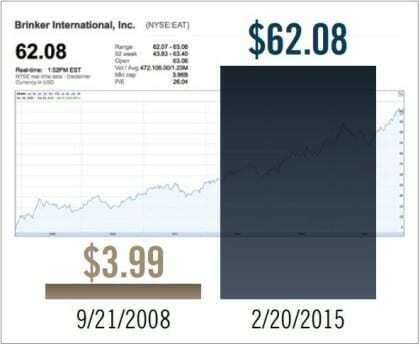 In early 2009 Brinker International (Chili’s, Maggiano’s), one of the world’s leading casual dining restaurant companies with over 100,000 team members, faced massive business challenges: the economy had collapsed and the company’s entire business sector was experiencing a sharp downturn. As a result, their 35-year-old organizational culture had slipped into the blame game, where no one would take responsibility for anything going wrong. This was undeniably a bad time for Brinker. Profits were down and shareholders were concerned about company stock dipping to an all-time low of $3.88 a share. Consequently, employee engagement dropped through the floor at below 50%, while turnover rates rose to 110% annually. “Brinker as usual” could not continue. In order to help Brinker embed the new way of thinking and acting into their daily operations, we gave Brinker access to PILtools, a powerful digital tool suite featuring groundbreaking tools integral to the Train. Retain. Sustain. change methodology. Brinker used these tools strategically to reinforce the training concepts for individuals and teams, facilitate collaboration in problem solving, provide assessments, give and receive feedback, offer certification, and deal with other culture management issues. In addition, we provided Brinker with ongoing executive coaching and access to an extensive library of resources in order to support the change process and ensure that Brinker kept their strategic focus.